Battle Archery in Brampton is the best of the best. The game known as Archery Tag or Archery Dodgeball has exploded! Don’t just go for the closest spot, make sure you get the best experience – only at Battle Archery. Make sure your event is one to remember – and make sure to book with us! Battle Archery Arena is the biggest archery tag arena in Canada! The best staff, easy to use equipment, and a constantly evolving environment keeping gameplay fresh and exciting! Use Bows, Nerf guns, Swords, and Shields. 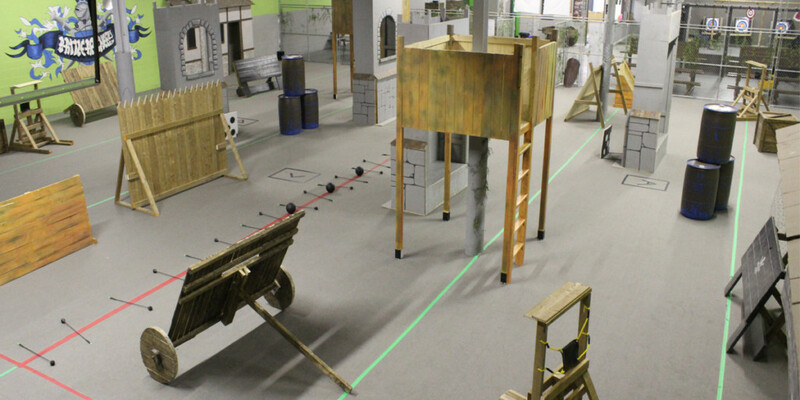 Climb Sniper towers, unleash the catapults, or use the fortifications! Private party bookings start at $250! 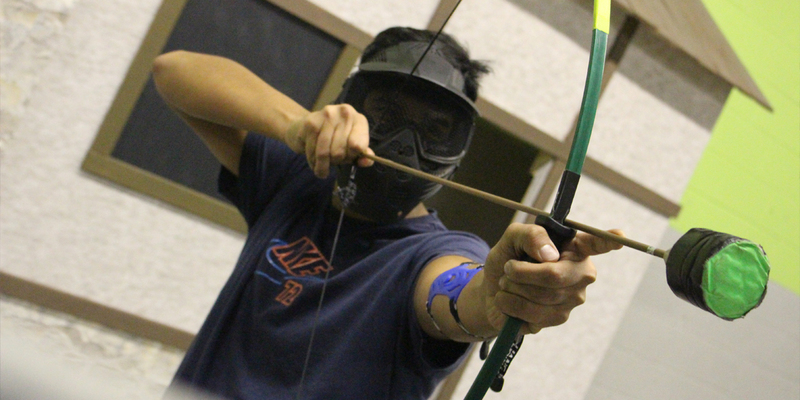 You never have to bring anything to come enjoy Archery Tag at our facility as all equipment is provided. Every person will receive a helmet, arm-guard, a bow and arrows. Medieval foam swords and shields are also available for certain game modes. Our bows are simple and easy to use, no previous experience necessary! Rated #1 by YOU the Customer! 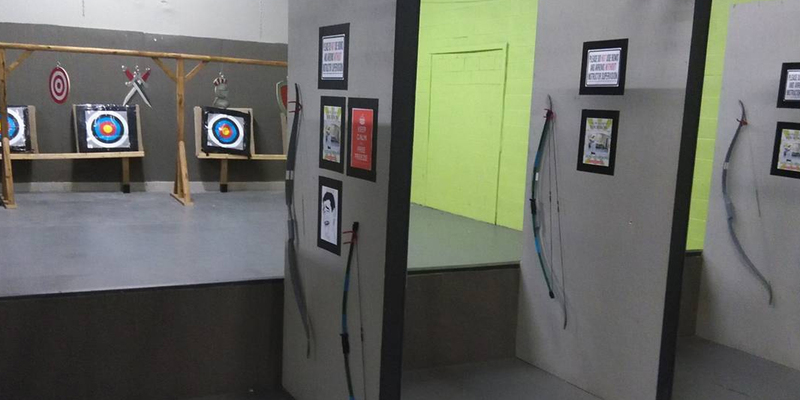 Before each and every session you get to practice in our archery range specifically built to resemble a shooting range! Enjoy a sense of privacy as you shoot your first arrows. Kick back with some video games, Foosball or ping pong before or after your game! There’s never a dull moment at Battle Archery! Holy ****!!!! Worth every penny and more! I’m in shock because I used to play at the toronto archery places and been overpaying for tiny arenas!! soo much fun at battle archery!! !